Successful Process Transformation starts with the right Enterprise Software. Map, model, and execute your business processes with Interfacing’s Enterprise Process Center® (EPC) to achieve the process visibility necessary to optimize your activities. Positioned amongst Leaders by Gartner in its latest Enterprise Business Process Analysis (EBPA) MarketGuide, Interfacing’s Enterprise Process Center® (EPC) helps companies streamline operations, increase productivity, enforce governance, and ensure compliance. Unsure which edition is right for you? We’ve made your decision easier, we’ve compared the editions so you can make the right choice. Our Free BPMN Modeler is a simple add-on for Microsoft® Visio® that allows you to extend your maps into models by structuring your maps within a hierarchical framework, reuse roles, documents, and other artifacts across maps, all within the familiar Visio® interface. The BPMN modeler is 100% freeware! Leverage all of the Enterprise Process Center modeling value, less the collaboration of a server version. Are you a single modeler looking for something more robust and complete than Visio to document and analyze but have no need to collaborate with others? Then the EPC standalone is a great option to get started! Want to manage all your organizational information within a centralized reusable repository across the entire organization while simplifying collaboration, communication and governance, but aren’t yet ready to give up IT control over your servers? 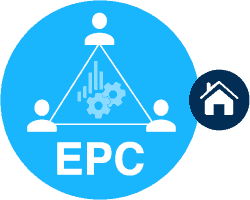 Then the EPC on Premise version is best for you! Gain all the benefits of the cloud version without any of the security risks associated. Want to manage all your organizational information within a centralized reusable repository across the entire organization while simplifying collaboration, communication and governance and don’t want the cost of purchasing and managing the Hardware nor headache of dealing with IT? 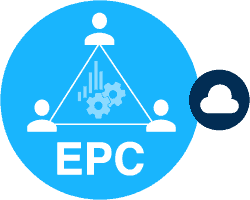 EPC Cloud is available within a per user per month software as a service model (SAAS) and has partnered with Amazon AWS to provide its clients with the widest, most reliable and secure cloud offering with multi-national servers, 99.9% up-time, traffic load balancing, fail-safe redundancy and offsite remote data back-ups to ensure our application is always available and our client’s data is always secure.